Mrs. Wheeler's First Grade Tidbits: The Future Looks Bright! We are ready for SUMMER! 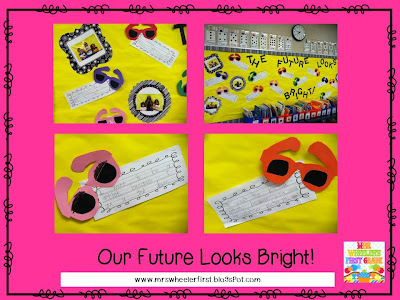 We made these cute sunglasses to celebrate the end of the year! Students wrote about what they want to be when they grow up. The B/W Collection is from Creative Teaching Press. I'm having my first linky and would love to have you!